Mumbai Marines FC will be conducting open trials for the upcoming season of MDFA 2nd Division. After securing their qualification to the MDFA 2nd Division last year, Mumbai Marines FC are looking to build their squad for the upcoming season. Mumbai Marines FC were a part of the annual MDFA Republic Day Cup and finished as the quarterfinalists and the only MDFA 3rd Division club (at that point of time) to achieve this feat. Mumbai Marines also have two youth teams, in collaboration with Kenkre FC, which were a part of the MDFA U-13 and U-15 leagues. The trials are open to all football players (Age : Above 16) in Mumbai who wish to be a part of a rapidly rising football club in the Mumbai setup. The venue for the trials will be the St. Xavier’s Football Ground in Parel. The selected players will have an opportunity to work with qualified coaches and professional club setup. 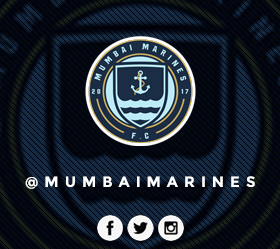 Come out in large numbers and join the Mumbai Marines’ journey to glory in Mumbai football.